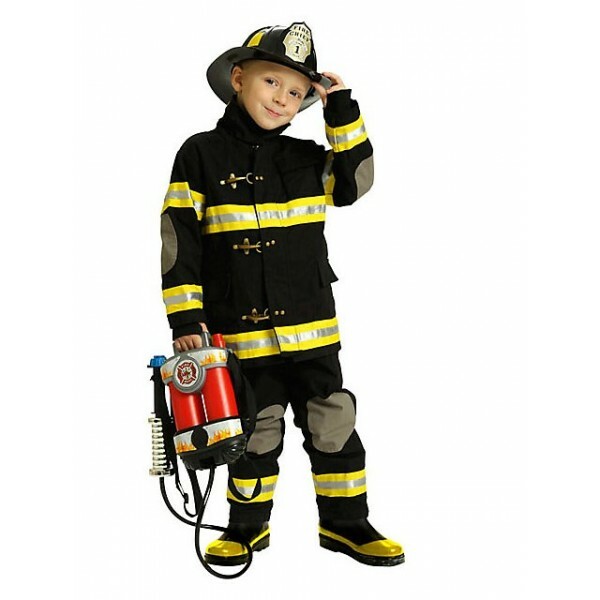 Fan the flames of imagination with this red-hot children's fire fighter's costume! 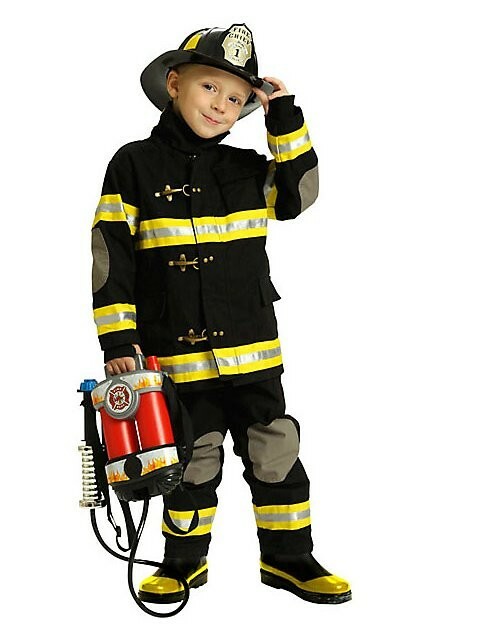 Exceptional quality - holds up to endless role play rescues. This set from Aeromax includes a rugged overcoat and bib overalls with red suspenders. Both are loaded with realistic details, like reflective stripes, authentic frog closures, knee and elbow patches, and leather-like collar. Please note: helmet and other accessories not included.